Want to make someone a fun holiday gift? 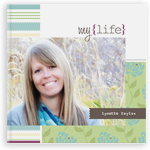 Paper Coterie has personalized calendars, books, holiday cards, recipe cards, etc. Paper Coterie has offered 5 readers a $30 online gift certificate. Shipping is not included. With this certificate, you can make whatever you want! Gift codes expire December 31, 2011. I would create a phot album. Wow! Paper Coterie has so many awesome things! I'd probably go for one of their coil-bound photo books. I would create Christmas cards! I would love to make memory boxes for each of my kids for all of the little hospital bracelets, etc. I would make a calendar for my parents. They went to Italy last year and I think it would be a fun way to display their photos and remember the trip all year long. My daughter is in kindergarten and I want to start a tradition of getting one of paper coterie's memory keeper's every year. I would love to make a guest book for our wedding! I would love to make a What A Trip book for our last vacation! I would create a memory keeper! I would create a Calendar with seasonal pictures for my in-laws as a Christmas gift. I made them one several years ago, and they tape a current calendar over old one to still use the pictures. Time for an update! I would create a calendar with all my dogs JUST for me! Either Christmas cards or a Memory Keeper. Such a neat site. I would get a Picture It In Color calendar for my husband to go in his office. Christmas cards would be a great idea from here! I would make a calendar. I would create a calander for my husband. Christmas cards. They would be so nice!